The opposite of much or many in Chinese would be little or not much. 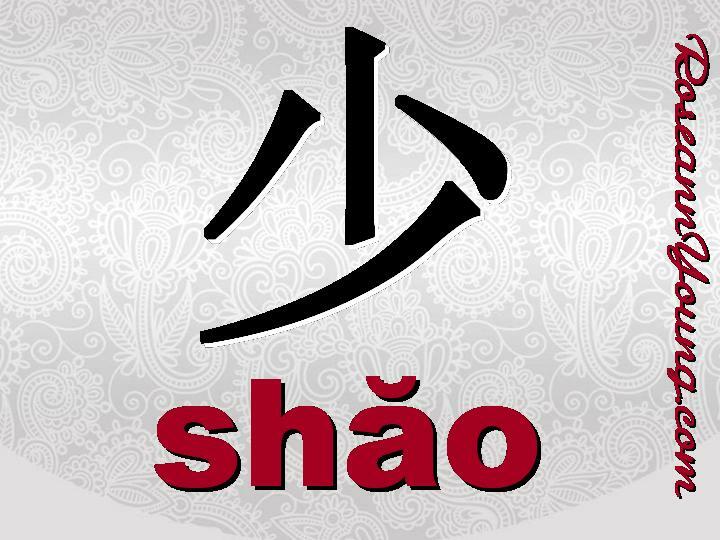 To express this idea the character “shao” is used. (Said with the falling and rising third tone. More on tones can be found in the article Mastering Chinese Tones). Yet, like so many other characters, there are many situations in which this character can be used.